Pit Stop USA is The Online Motorsports Superstore! 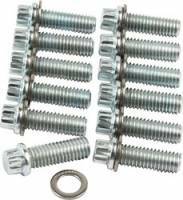 We feature Intake Manifold Bolts at low everyday prices. We feature Intake Manifold Bolts, Intake Bolts, Intake Bolt Kit, Intake Manifold Bolt Kit, Racing Intake Bolts, Engine Bolts, Racing Engine Components, Racing Engine Parts, Race Engine Parts, Intake Manifold Bolts, Engine Bolts, Intake Bolts, Engine Bolts, Racing Engine Components, Racing Engine Parts, Race Engine Parts at low everyday prices!